Well-known spiritual teacher A. H. Almaas uses the metaphor of the mysterious philosopher's stone to discuss a tremendous liberating power that leads to endless enlightenment.a aaaaaUsing the metaphor ofalapis philosophorum, the mysterious philosopher's stone, A. H. Almaas explores a tremendous liberating power that is closer to us than we realize--a power that can reveal the secrets of existence. Through the philosopher's stone, real transformation can happen, our consciousness can become free, and we can open to all the possibilities of reality. 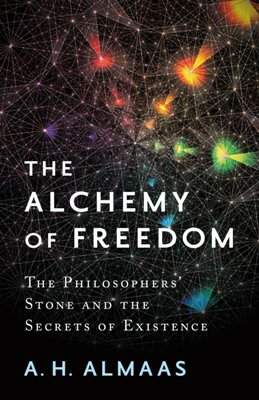 Almaas discusses the factors that are involved in igniting the catalytic property of the philosopher's stone, and then begins to unpack the properties of true nature when it is ignited, when being is alive and self-revealing. Finally, we are left with the revelation that true nature is endlessly knowable, that nothing we can know or say about it exhausts its mystery and power. The result is a new understanding of what liberation and practice are--and a view of what it's like when seeking ceases and life becomes a process of continual discovery."